something known to be true. For instance: I have too many cookbooks. That is a fact. I don’t need another cookbook. Also a fact. 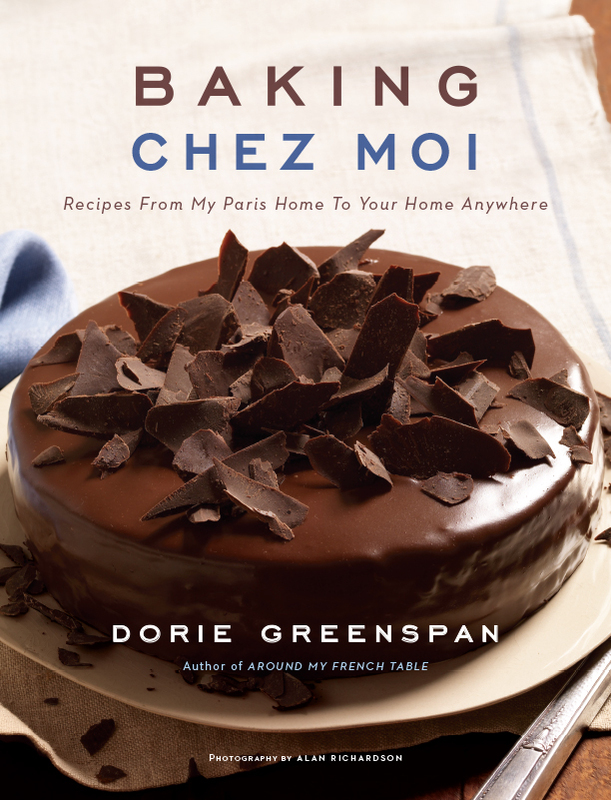 Oddly enough, both were ignored when a third event recently took place: I ordered Dorie Greenspan’s Baking Chez Moi. Instead of being ashamed of my lack of will power, I jumped up and down with joy when the package arrived. Later that same evening I took it to my bedside table, where I intended to browse through a few pages, but instead found myself unable to put it down. Not enough sleep that night. If you face the fact of owning too many cookbooks, and think you don’t need another one, I will be brutally honest: you are wrong. You must invite this one into your home. Released just last month, I know it will become a classic. And you don’t want to be out of that loop, do you? Put the gelatin in a microwave-safe bowl, pour over the cold water and let the gelatin sit for about 3 minutes, or until it is completely moistened and has begun to expand. Then heat the gelatin in a microwave oven for 15 to 20 seconds to liquefy it. Scrape the mascarpone into a large bowl, preferably one that has a pouring spout, and gently stir to loosen it. Pour the cream and honey into a small saucepan, put over medium heat and bring just to a boil. Allow the liquid to cool for 5 minutes, then pour some into the gelatin and stir until smooth. Stir the contents of the gelatin bowl into the remaining cream and then pour everything into the bowl with the mascarpone. Use a whisk to blend gently. Working in the bowl of a stand mixer fitted with the whisk attachment, beat the egg whites and salt together on medium-high speed until the whites just begin to turn opaque. Little by little, add the sugar and keep beating until the whites are marshmallowy – blowy and white, and when you lift the whisk, they’ll form tipsy peaks. Turn the whites out onto the mascarpone mixture and, using a flexible spatula, lightly fold them in. Thoroughness is less important than gentleness here. Pour or spoon the mousse into four 1-cup-capacity bowls. Cover the mousse with plastic film and refrigerate for at least 3 hours before serving, making sure to keep it away from foods with strong odors. You can gild the lily with some berries, either crushed with a little sugar in the bottom of the bowl, or as whole fruit on top. Comments: I always joke with Phil that Giada de Laurentiis in her cooking shows tends to use a few ingredients a bit too often. Mascarpone is one of them. Hazelnut is another. You blink once, and there she is, grabbing the mascarpone from the fridge, and the bag of hazelnuts from the pantry. So, I almost did not pay attention to this dessert in Dorie’s book. But, her description of the way the sweetness of honey plays with the tartness of the mascarpone and how the dessert kind of grows on you with each spoonful, convinced me to try it. We recently had a couple of friends over for a Brazilian style dinner (steak, rice, black beans), and I wanted a dessert that would be tasty but not overly heavy. 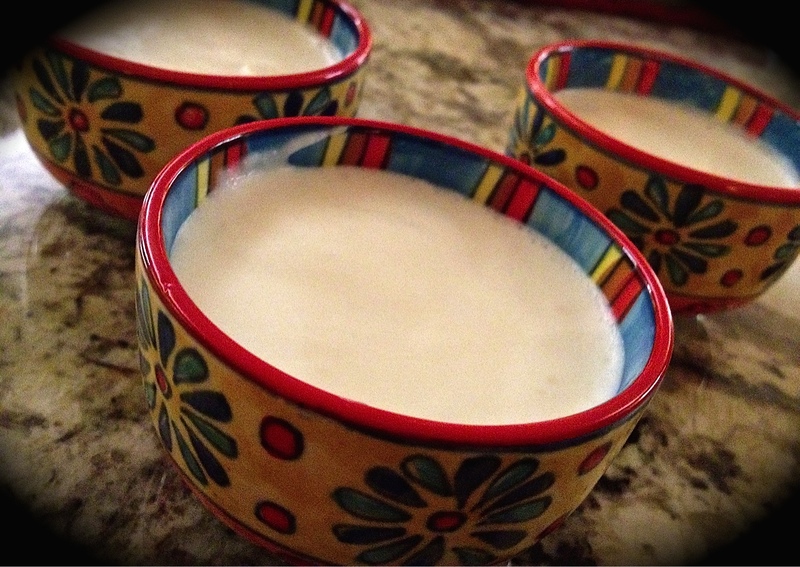 This mascarpone mousse was perfect for the occasion, even if I say so myself… Plus, I made smaller servings than called for. Dorie’s recipe is supposed to make 4 servings, I divided the mousse into six small bowls. The description of Dorie is spot on: the mousse has a perfectly creamy texture, smooth, not too sweet, and the mascarpone and the honey together form a match hard to beat. I would not change anything in this mousse, and would recommend you try it if you need a dessert that is not on the heavy side. And now, time for an overview of Dorie’s new book, the one that you must invite into your home right after you finish reading my post. The way I see it, her book is the opposite of another she wrote together with Mr. Hermé, Desserts by Pierre Hermé. In that book, nothing is simple, and every single one of the concoctions are the stuff that French people would buy at a pastry shop to take to a dinner party, or serve to lucky guests on a special occasion. It is an amazing cookbook, but even though I’ve had it for more than 10 years, I made only two recipes from it, and each one left me feeling as if I had run a marathon. Barefoot. However, I must say that the French lemon tart is the best I’ve ever tasted, and worth buying the book to enjoy it. Baking Chez Moi is a totally different entity. You will want to go to the kitchen right away to start baking, with no need to sit down and meditate in preparation, or light a bunch of candles to the Pastry Gods. The book is divided in 6 chapters: Simple Cakes, Fancy Cakes, Tarts & Galettes, Baby Cakes & Petite Pastries, Cookies & Bars, and Fruit, Creams, Frozen Desserts & Candies. A final closing chapter on Basics. I will not list every recipe in the book, just give you a quick overview highlighting the ones that appealed to me the most. Simple Cakes. All the recipes in this chapter are indeed simple, often with just a few ingredients, perhaps the best example being Plain and Simple Almond Cake. To make it, you will need eggs, sugar, and almond flour. A hint of vanilla. That is it. I can imagine the wonderful texture and delicate almond flavor. Quite a few tasty apple cakes, including Custardy Apple Squares that seem perfect for that afternoon snack, or a special brunch. Another great concoction in this chapter is a Cheesecake, Alsatian Style. I had the opportunity of tasting one while living in France, it is lighter than the American version, so if you love cheesecake, don’t skip this one. With her Cornmeal and Berry Cake, she brings the fashionable olive oil cakes that everyone raves about these days. The same theme is present in her Hazelnut, Ginger and Olive Oil Cake (amazing flavors put together). Spiced Honey Cake made my heart skip a beat. I just know it will be one of my favorites, as I am crazy for pain d’épices. Fancy Cakes. In this chapter, she dials it up a notch, but the recipes are still quite user-friendly, and her notes so clear that even those who suffer from cake-phobia will be tempted to dive in. The first cake in the chapter is a thing of beauty, the Moka Dupont. A sort of icebox cake assembled with cookies, coffee and chocolate buttercream. Shaved chocolate decorations on top. Such a stylish little cake! Sunday in Paris Chocolate Cake: with a name like this, who would not want to make it? Love this particular instruction, “some of the chocolate may drip down the sides – let it.” Tarte Tropézienne, is a cake made in fact with a buttery brioche dough, split in half horizontally and filled with a combination of creams. It was a favorite of the famous Brigitte Bardot in her early years of acting in Saint-Tropez. It is still very popular in that region, where each patisserie carries its own version. A beautiful Gingerbread Bûche de Noël is also part of this chapter. Not sure I have what it takes to face it, but it is such a classic! Galette de Rois, a dessert that brings me nice memories of my days living in Paris, and a gorgeous Rose Fraisier, made with genoise and strawberries close this elegant chapter. Tartes and Galettes. By far the number one for me is the Apple Tarte Flambée. Why? She describes it as a sweet version of flammkuchen, a very thin pizza-like concoction from Alsatia that when I tried for the first time I thought I had died and gone straight to heaven. Will never forget the restaurant either, a very small place near Institut Pasteur at the 15eme. I went back there quite often, usually all alone, heart-broken and feeling sorry for myself, but flammkuchen comforted me quite well. Other goodies that called my attention in this chapter are Pear Tart with Crunchy Almond Topping, Apricot-Raspberry Tart, Simplest Plum Tart, Caramelized Cinnamon-Milk Chocolate Tart (oh, my…), and – are you ready for this one? – Crème Brûlée Tart. Ok, that pretty much does it, although Tiramisu Tart sounds almost as decadent. Baby Cakes and Petite Pastries. This chapter stole my heart and ran away with it… The first recipe already made me melt a little: Nutella Buttons. Enough said. Think tiny cupcakes with a Nutella filling and a glaze of chocolate ganache. Happiness disguised in pastry. Pistachio and Raspberries Financiers, followed by Matcha Financiers are elegant, simple, and made in a two-bite serving. Lemon Madeleines of course had to be included, and a version of Black-and-White Marbled Madeleines is also there. Cannelés? Yes, of course! I must make them, as I even have the silicone pan for that, sitting in my cabinet. No excuses. What do you think of Chocolate Cream Puffs with Mascarpone Filling? Sounds fantastic to me. Beignets, Pailles, Merveilles, and Palmiers. A French Nirvana in small pastries form. Cookies and Bars. Dorie starts the chapter explaining that the traditional French cookie is the sablé, a shortbread type of delicacy that accounts for “half a hundred of the hundreds of cookies” in the French repertoire. Recently I made a chocolate chip cookie based on a shortbread dough and fell in love with its delicate, slightly crumbly texture. So, let’s say I am more than ready to embrace sablés. Some of the cookies that spoke dearly to me in this group are: Vanilla Bean, Toasted Buckwheat and Chopped Chocolate, Viennese, Green Tea Sablés. But, of course macarons are incredibly enticing, and she’s got several types like Basque Macarons, Parisian Macarons (the photo will blow your mind), Macaron Biscotti. I also noticed her Cocoa Crunch Meringue Sandwiches, and Lavender Galettes (like a galette in cookie presentation). My favorite cookie of all times, Speculoos is part of her collection, and for that I am grateful. In the bar type of cookies, my favorites would be Lemon Bars, and Granola Bars. Fruit, Creams, Frozen Desserts and Candies. A lot appealed to me in this chapter. How could I not go crazy for the Apple Speculoos Crumble? But there is a Dark Chocolate Mousse, a Mascarpone Mousse (recipe included in this post), a Honey-Yogurt Mousse, Lavender-White Chocolate Pots de Creme, Caramelized-Coffee Bean Pots de Creme, Speculoos Panna Cotta (excuse me while I close my eyes and dream a little), Chocolate Truffles, and Soft Salted-Butter Caramels. Final Chapter, Basics. Here you will learn many techniques and basic sauces and components of recipes such as how to make a Hot Fudge Sauce, a Raspberry Coulis, a Spiced Hibiscus Syrup, Candied Petals, Flowers, Leaves and Herbs, among many other things. Wonderful way to wrap up a great book! This sounds like a book with my name on it. I think I saw your name on my copy of it…. strange… but yes, it is perfect for you, my dear! I will be strong and resist. 🙂 The mousse recipe does sound nice and simple but tasty. I’ve had my eye on Dorie’s new book. Thanks for giving me the “nudge” ! I have the book, with autograph, since I saw Dorie at a promotional event. I enjoyed speaking with her. How did you manage to get her permission to include it in your blog? I wrote her a message through Facebook page – she was tremendously nice! I think your changes are going to be amazing! Thanks for the book review, Sally. Bring on the carmelised coffee bean pot de creme, please. And happy holidays to you. I have read this before breakfast and now really want to start my day with dessert!!! The mascarpone dessert sounds delicious, but the thought of a good French macaron or lemon Madeleine! Yum!!!! The macarons…. gosh, you gotta see that photo, they are a beautiful lavender color…. I think I am in love! Fortunately, I don’t bake enough to warrant buying this cookbook, although it sounds wonderful. And this mousse is stunning. I’m addicted to cookbooks myself, but it’s really my only vice, and way cheaper than heroin. i think. Very nice way to put it…. way cheaper than heroin. I shall use this line as a mantra…. Haha I don’t NEED another cookbook either…but I bought this one anyway! Still haven’t made anything from it yet, but oh my this mousse is a top contender. I knew you would never ever resist this one… it’s got your name written all over it! 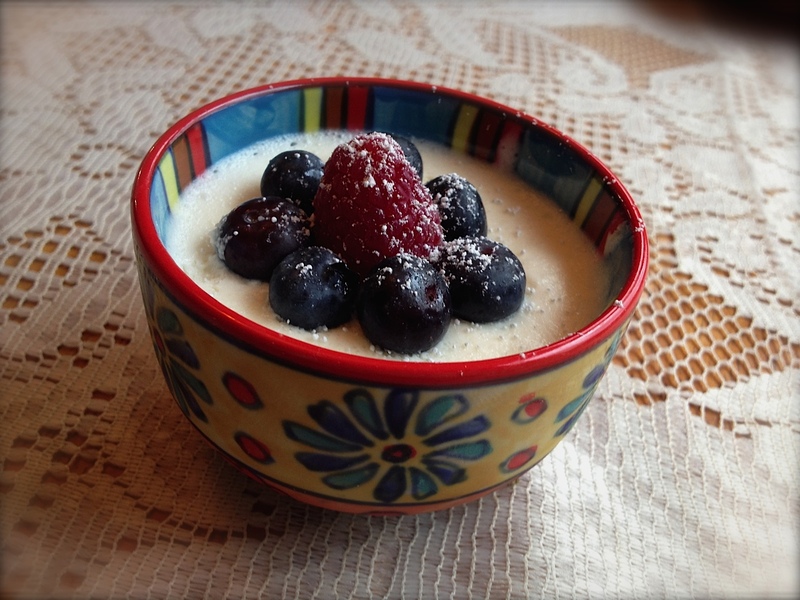 By the way, I made the Speculaas Panna Cotta this past weekend – delicious! Maybe you should keep that one in mind too….